The return on investment Wabash College provides its students continues to rank the institution among the best in the nation. Wabash College ranked No. 2 in Best Alumni Network; and No. 3 in Best Internship Opportunities; and No. 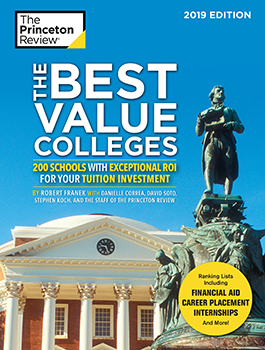 29 out of 200 of the nation’s Best Value Colleges. 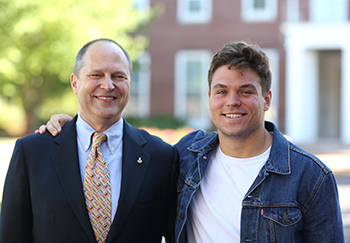 “This national recognition is an indication of how faculty, staff, and alumni collaborate to create meaningful internship and employment opportunities for Wabash students,” said Dean for Professional Development Steven Jones ’87. The Princeton Review chose schools based on return on investment (ROI) ratings it tallied for 650 schools last year. Taken into consideration were the institutions’ academics, cost, financial aid, graduation rates, student debt, and career/salary data. Wabash rose in rankings associated with faculty accessibility and engagement, both receiving scores of 99. The College also received a financial aid rating of 93 (up two points from last year). Wabash received an overall ROI rating of 93. According to their data, the average Wabash graduate with only a bachelor’s degree can expect an average starting salary of around $60,000 with a mid-career salary of $116,000. Those figures rise to more than $64,000 and nearly $132,000 with a Wabash degree and some postgraduate education. This is the second year that Wabash College has had the No. 2 Alumni Network in the nation according to The Princeton Review.